The Health Ministry in Gaza has reported that a child died, on Saturday morning, from serious wounds he suffered a day earlier, after Israeli soldiers shot him with live fire. 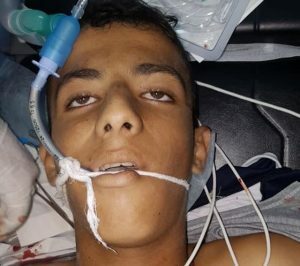 The Health Ministry said the child, identified as Moath Ziad Soori, 15, died from serious wounds he suffered during the Great Return March procession, east of the al-Boreij refugee camp, in central Gaza. The child, who was shot with a live round in the abdomen, was rushed to a hospital, but remained in a critical condition until he succumbed to his serious injuries, Saturday. 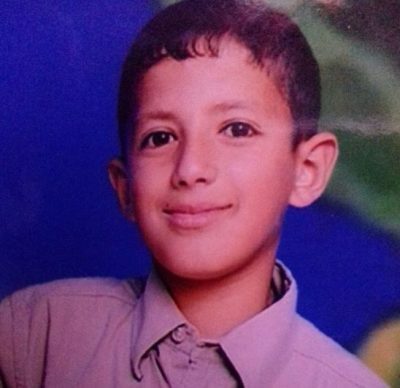 Moath was from Nusseirat refugee camp, in central Gaza. On the same day of his injury, the soldiers killed a Palestinian, identified as Ahmad Yahia Atallah Yaghi, 25, after shooting him east of the Zeitoun neighborhood, east of Gaza city, and injured 220 Palestinians, including 90 who were shot with live fire, in the Gaza Strip. Their deaths bring the number of Palestinians, who were killed by Israeli army fire in the Gaza Strip since March 30th, 2018, to 157, while 17259 have been injured; 9071 of the wounded were moved to hospitals and 8188 received treatment in field clinics; 3279 of the injured are children, and 1553 are women. Twenty-three of the slain Palestinians are children, in addition to three women, including a medic, identified as Razan Ashraf Najjar, 22. There are 404 wounded Palestinians who are still in critical conditions, while 4141 suffered moderate wounds and 4354 suffered mild injuries. The soldiers also killed another medic, identified as Mousa Abu Hassanein, 36, and caused damage to 59 Palestinian ambulances. Furthermore, the army killed two journalists, identified as Yasser Mortaja, 30, and Ahmad Abu Hussein, 25, and wounded 144 others.